Vox AC-50 Small Box "Washington DC Amp"
Vox AC-50 Small Box "Beatles in Australia Amp"
AC-50 Small Box Head and Speaker Enclosures - By late 1963, the Vox AC-30 amps previously used by the Beatles were no match to the din of the screaming girls that accompanied every live Beatle performance. 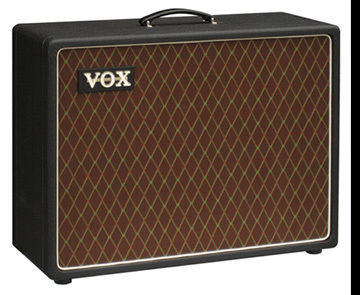 In response, Vox developed louder 50 watt models. George Harrison and John Lennon each received a new 50 watt amp head that JMI dubbed the "AC-50 Mk I." 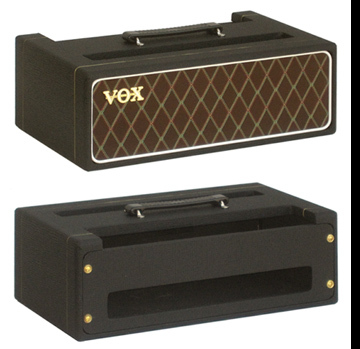 Vox also supplied accompanying AC-50 "Small Box" speaker enclosures that included two 12" Celestion Alnico Blue speakers and a Goodmans Midax horn. This combination of a 50 watt amplifier head and "two way" speaker enclosure powered the Beatles first US appearances in February 1964. 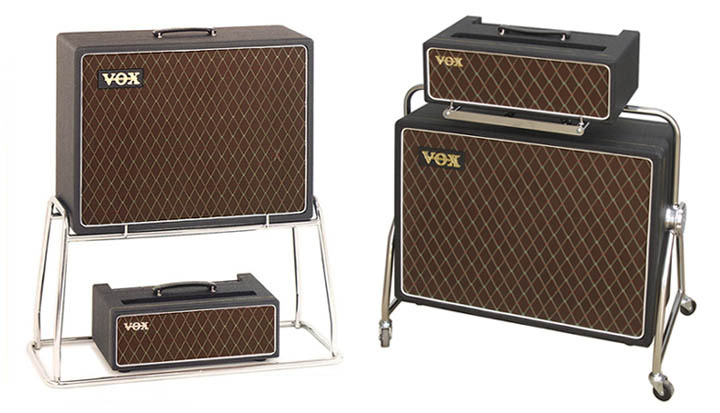 These amps also can be seen in the Beatles' first movie, "A Hard Day's Night." Originally, the AC-50 "Small Box" speaker cabinet was perched upon a chrome rigid stand. The amp head sat on the floor, inside the base of the stand. As the Beatles played through these amps for their first US concert at the Colisseum in Washington DC, this version of the AC-50 has come to be known as the "AC-50 Washington DC'' amp. Several month later, the Beatles were issued a revised version of the amplifier. The former rigid stand was replaced by a new swivel stand that allowed the speaker cabinet to be tilted and placed the head at the top. The Beatles used this version of the AC-50 in their June 1964 tour to Hong Kong and Australia. This version of the AC-50 small box is often called the "AC-50 Small Box Australia amp." The North Coast Music recreations of these cabs are faithful to the original designs. The AC-50 "Small Box" speaker cabinet is constructed of 13 ply baltic birch plywood and includes one VAP-074 handle, an original style Switchcraft 3 pin jack with a 20 inch lead wire and the correct logo. It is covered in authentic basket weave vinyl and features brown Vox diamond grill. As Goodmans Midax horns have not been produced in over forty years, none are offered by North Coast Music. One can only look in online auction web sites, such as eBay, to find these. Outside dimensions: 27.25" x 20.25" x 10.375". The AC-50 "Small Box" head is mostly constructed of 3/8" thickness baltic birch. The top panel is 3/4" 13 ply baltic birch plywood. Like the original, it is covered in basket weave vinyl and features brown or black Vox diamond grill cloth. An VAP-074 handle is provided. Continental US sales only. Outside dimensions: 19" x 6.25" x 11." 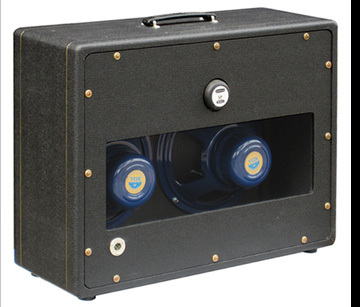 an NCM-095 enclosure or offered by North Coast Music. Will you be installing a Midax horn? AC-50 Mk I "Washington DC" Head Enclosure Manufactured exclusively by North Coast Music and authorized and licensed by Vox Amplification UK. No electronics are included or offered by North Coast Music for these cabinets. Also available at option is an expanded aluminum grill kit for the top and rear panels of the AC-50 MK I head enclosure. Outside dimensions: 19" x 6.25" x 11." Inside dimensions: about 17" x 5" x 9" including backstrips.